A subtle touch of greenery at your home is fundamental in today’s majorly polluted times. From inhibiting and destroying harmful air-borne toxins to curbing our stress levels, there are numerous utilities of indoor plants for home. This Independence Day, ring in your home interiors with profuse freshness and freedom from air pollutants by bringing home these top 5 indoor plants for a healthy and enriching life. You’ll have a tough time killing this versatile and resilient one, even if you’ve a tendency to neglect indoor houseplants. With heaps of rich foliage and modest white blossoms, the spider plant combats benzene, formaldehyde, carbon monoxide and is renowned as one of the most efficacious indoor plants for air purification. To sweeten the deal even further, this houseplant is a safe bet if you’ve pets. Spider plants can be easily grown by cutting off one of its spiders and mounting it on a pot. Alternatively known as the airplane plants, they are amazingly simple to grow, flourish in cool-to-normal home temperatures and lean towards the dry soil. Brilliant oblique sunlight keeps them thriving best. Peace lily is a perennial and flamboyant blend of handsome leaves and incessant glowing white blooms. All that a peace lily needs to live on and deliver happy blooms are shade and weekly watering. The Peace Lily plants are eminent for their easy care. They promote note-worthy air purification inside your home by expelling the three most common VOCs namely benzene, formaldehyde and trichloroethylene. These charming indoor beauties also help to eradicate molds and accentuate the overall ambiance of your home interiors. The peace lily is resilient and forgiving and will even notify you when it’s thirsty – look for the telltale droop. This easy growing succulent plant eliminates the negative effects of benzene and formaldehyde, the possible byproducts of paints, and other chemical laden cleaners. 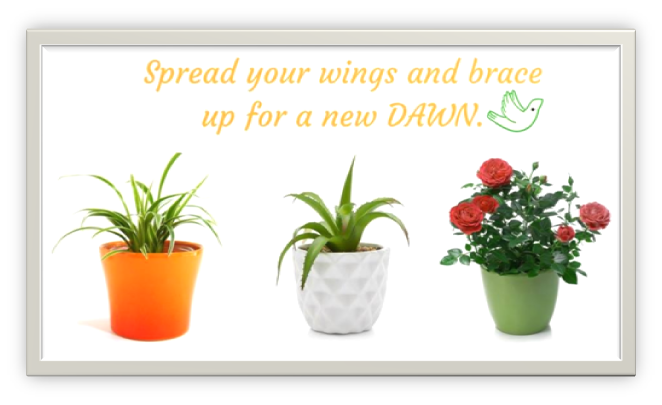 It is a bright pick for the sunlit window sill of your kitchen. Beyond its air-purifying capacities, the gel of this plant can effectively heal burns and cuts. Prominently called “the plant of immortality” Aloe Vera plants can be typically used as a remedy for burns, sunburns, abrasions and additional skin conditions. The juice of the plant is also known to be a highly potent laxative. Otherwise called the mother-in-law’s tongue, the Snake plant is truly outstanding for decontamination and purification of the air by eliminating formaldehyde, which is commonly found in cleaning products, personal care products, and toilet tissue papers. You can place one in your bathroom. It’ll excellently thrive in faint light and sultry humid conditions while filtering out air pollutants. You may likewise wish to put a couple of these plants with serrated leaves in your bedroom as they are beneficial in depleting carbon dioxide and releasing oxygen at night (the inverse of the timing procedure most plants take after). Sharing your space with these plants could offer you an oxygen boost while you sleep. The blessed bamboo plant is widely known as the Feng Shui plant. You can position it tactfully above a cupboard or adjoining the window for some in explicit sunlight that promotes its growth. Clean and clear watering once in every fortnight is sufficient for its steady growth. The plant adds to enhance the decor of your home and is famously believed to usher in positive energy and augment happiness, good luck and prosperity in your house. Lucky Bamboo plants can be the quintessential choice as gift plants for your beloved ones.